Making a movie about a bunch of newspaper reporters from the Boston Globe, who uncovered the massive cover-up of child molestation within the Catholic Church in 2001, is not something that you think would be exciting to watch. How exciting is it to watch a bunch of reporters work? 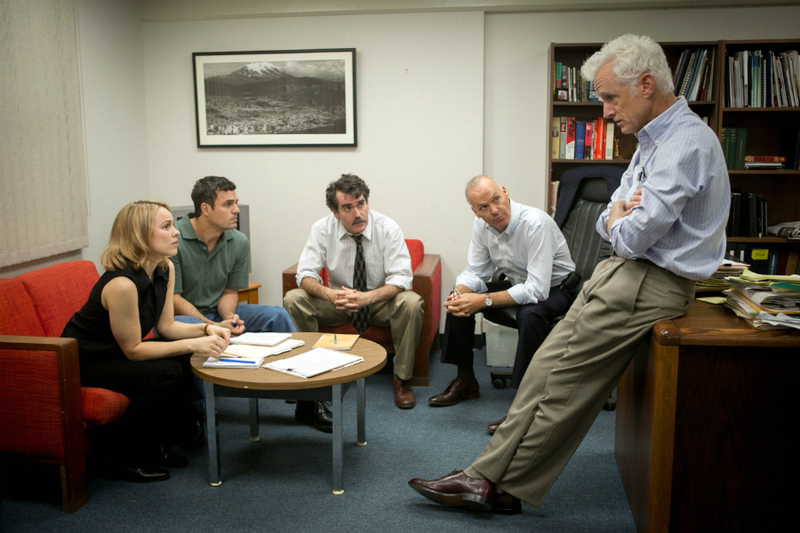 Spotlight is so impressive that it makes it tense and gut wrenching all at once. 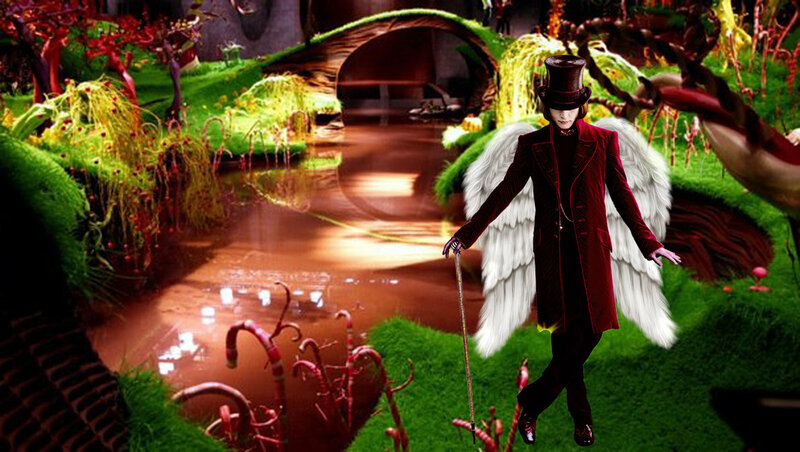 I could not remember the name of this movie when it first came out since it made no sense to me. I did not make the connection between the plot and the title. 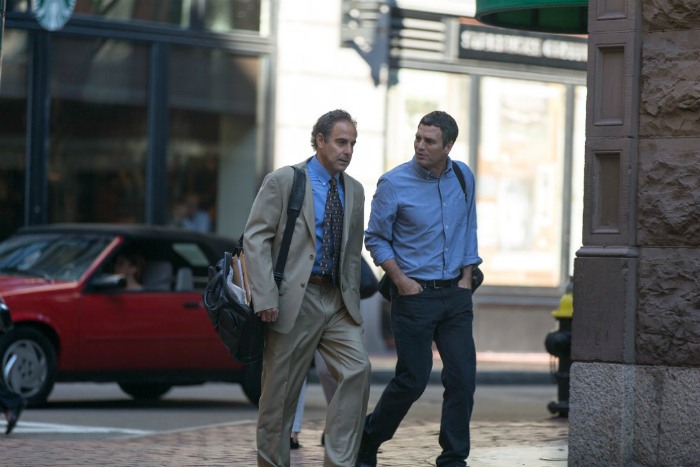 The film explains that there is a section of the Boston Globe called Spotlight where four reporters dig deep into one story that might take months before it is finished. That makes sense, but I still think the movie could have used a different title. The acting is outstanding. Mark Ruffalo’s character, Mike Rezendes, was very frustrated and angry while doing research or trying to gather information, especially when it would be blocked from him for some arbitrary reason. He was passionate and determined to get what he needed. Since I was watching a movie, I half-expected there to be some kind of hint of romance between Rachel McAdams character, Sacha Pfieffer, and Mike, but thankfully there was not. It actually treated a female character in the movie as a reporter instead of a love interest. I was relieved! Michael Keaton played his character in an understated way and it worked well, especially when he realizes a devastating mistake he made in the past. The subject matter is difficult, but I highly recommend this movie. I was ready to watch it immediately after I finished it. It hurts by the end, but it is so very good. This was the best movie I saw this past year. So well done. Incredible cast. I wouldn’t change a thing about it. Ashton Albertson liked this on Facebook. Carl Foleen liked this on Facebook.